River’s Edge Events is a unique and luxurious venue for your Urban Wedding. Set on the North Wharf precinct of the Yarra River in Melbourne CBD, River’s Edge Events owns an exquisite sweeping view of the Yarra River and Melbourne City skyline. The floor to ceiling window with clear glass enable the prefect natural light come through. River’s Edge Events provides a beautiful option for wedding ceremony for both outdoor and indoor. 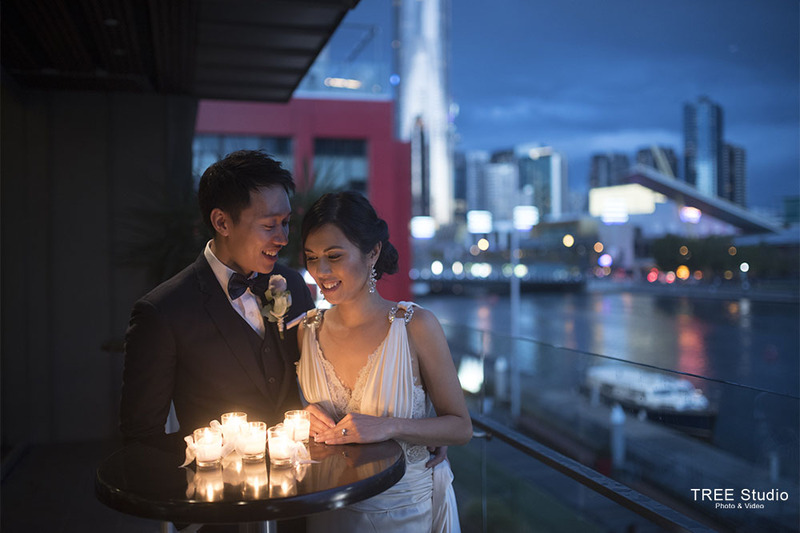 The natural and spectacular Yarra River view is always a prefect backdrop for a wedding ceremony. With a ceremony guest up to 220 people and a sit-down banquet guest up to 250 people, River’s Edge Events is an ideal wedding venue for a middle to large size wedding. The recently finished renovation make the River’s Edge Events combined with the modern and minimalist design, featuring the neutral tones, marble bars, polished concrete floor and industrial style lighting. 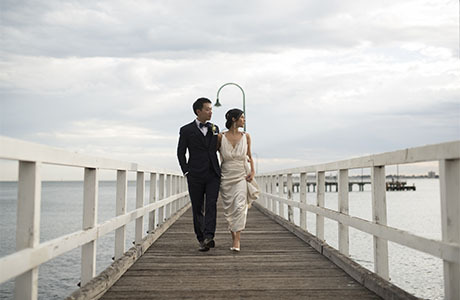 As part of the Melbourne Wedding Venue Veteran – Melbourne Events Group, every detail of your special day will be taken care. The premium food and drink could always pamper you guests. They also offer a boat arriving and departure, which is a bonus for a unique wedding. As a wedding photographer, River’s Edge Events is a prefect wedding venue for a modern and minimalist style wedding. Should you have any questions to plan a wedding at River’s Edge Events, please do not hesitate to Contact Us for the suggestions and information from a wedding photographer’s view.